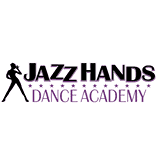 Jazz Hands Dance Academy was founded in 2015 starting in a spare room of a karate school in Pitman, NJ. Quickly maximizing capacity, we relocated to a 3,000 sq ft facility in Clarksboro, NJ. We believe in creating a fun, friendly atmosphere and motivating and inspiring students to be their best.